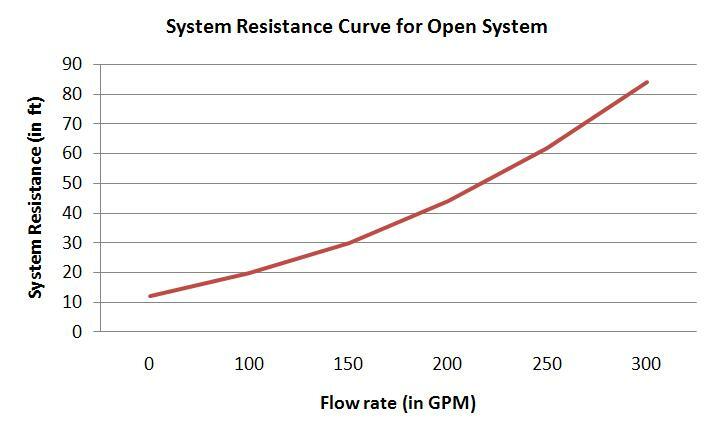 Refer the concept of the system resistance curve from my previous article for better understanding this article. The above Eq.1 can be used for fan and pump system head curve calculation for the closed as well as the open systems. I already discussed how to draw a system performance or resistance curve for a closed system; I will discuss an example problem for an open system in this article. Refer the schematics of the below open fluid handling piping system and plot the system resistance curve for the water system. It has been found from calculation that the system exerts 50 ft (water column) of frictional resistance head for a flow rate of 250 GPM. For solving the above problem, we have to use the Eq.1. Let’s try to find out the right hand side quantities of the Eq.1. 1. The frictional resistance is proportional to the square of the flow rate. 2. The values of the resistance due to static head and pressure head remain fixed with respect to the flow rate. The importance of the rule-2 is: we can use the same values for the resistance due to static head and pressure head for any flow rate while calculating the different data points. 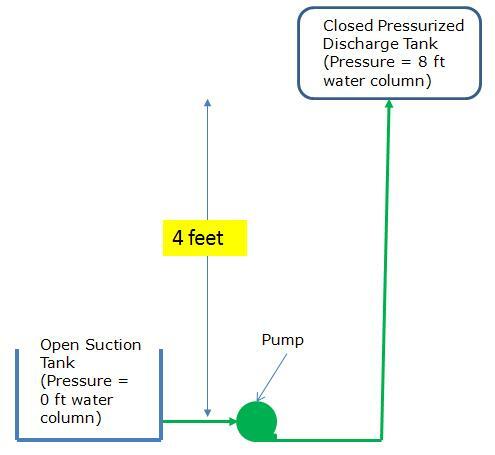 I the next article I will discuss how to use system curve and pump curve for selecting suitable pump.